East and North-East Asia, as one of world’s most dynamic, innovative and fast developing regions, has made remarkable progress over the past two decades -- with annual GDP growth higher than that in Asia-Pacific and the rest of world and is well advanced in meeting Millennium Development Goals (MDGs). Yet many challenges remain. East and North-East Asia still has a large number of people in poverty and a large disparity of income among countries, with Japan at one end and Democratic People’s Republic of Korea on the other. There has been no fundamental trend in reversing environmental and resource loss, or in reducing the growth of greenhouse gas (GHG) emissions. The resource-intensive economic growth has led to a large increase in demand for materials and energy. A number of emerging challenges to deal with. East and North-East Asia is also home to a large number of older persons, with population ageing taking place at an unprecedented speed and scale in human history. Promoting poverty reduction and safeguarding the basic needs: In 2011, the population living in extreme poverty - less than US$ 1.25 a day in 2005 PPP - reached 97.64 million, accounting for 6.3 percent of the total population in ENEA. For this reason, it is necessary to give top priority to promoting poverty alleviation and safeguarding the basic living needs of the poverty-stricken people in the subregion. Enhancing energy efficiency and optimizing energy structure: Energy consumption in the subregion represents a third of global energy consumption. Except for Japan and the Republic of Korea, the energy efficiency of other countries is lower than that of the global average. The share of coal accounts for 23.7 percent of total final consumption, double that of the global average. It is therefore very important to increase energy efficiency and promote sustainable consumption. Addressing climate change: GHG emissions from the subregion are about 33 percent of the global total. By developing the necessary technologies and introducing policies and measures the subregion could play a key role in helping mitigate global climate change. Increasing resilience to disasters: The subregion is vulnerable to extreme weather conditions. In 2013, a total of 28 million people in the subregion were affected by natural disasters. It is important to strengthen the capacity of the sub-region in fighting against and adapting to the disasters related to climate and other natural disasters. Enhancing resource efficiency to maintain resource security: The resource efficiency in the subregion is lower than the global average. Actions to increase the efficiency of resource use, adopt more clean and environment-friendly technologies and industrial processes to improve the subregion’s infrastructure and industrial conditions would bring multiple benefits for the regions sustainable development. Driving ecological innovation for growth: Increasing the rate of scientific and technological achievements and translating the innovative results into industrial transformation across the region, can contribute to shifting economic growth into a resource-efficient and low carbon pathway. Integrating population ageing in national development priorities: Ageing challenge has already begun to affect countries in the subregion. Countries have embarked on a new era in establishing supporting structures to deal with a rapidly aging population and to shift older persons from idle beneficiaries of welfare to active contributors to society. Transforming the role of development assistance - means of implementation: Countries in the subregion are poised to exercise regional and global leadership in means of implementation for Sustainable Development Goals (SDGs) with best practices emanating from the subregion in areas such as North-South, South-South and triangular cooperation by scaling up and efficiently utilizing their financial assistance and also by sharing knowledge and technical support in many areas including green and eco-efficient technologies. 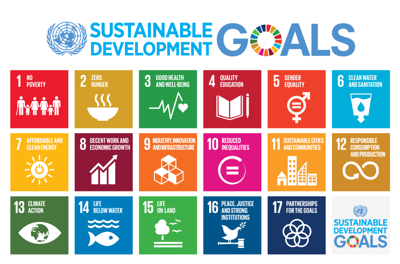 Addressing such priorities requires developing country-specific goals and SDGs implementation plans, promoting information disclosure, promoting participation of all stakeholders including the private sector and legislators, and advancing innovation for the financing mechanism in implementing SDGs. Countries in East and North-East Asia have begun the process of implementing 2030 Agenda for Sustainable Development and are at an early stage in formulating policies and measures and putting in place the necessary institutional architecture. Countries in the subregion could jointly mobilize their contributions to the implementation of SDGs through national measures, enhancing subregional cooperation and regional cooperation. At the national level, countries in the subregion can establish and improve financing mechanism including through public-private partnerships and increase technical support and promote dissemination of knowledge and best practices for instance by investing in education and technological innovation. At the subregional level, despite the political difficulties and historical differences, it is important for countries in the subregion to promote meaningful partnerships by making full use of existing mechanisms. Deepening cooperation in existing subregional economic cooperation zones involving the countries of the subregion could promote subregional economic cooperation and contribute to regional economic integration. Ongoing environmental cooperation in East and North-East Asia, such as North-East Asian Subregional Programme for Environmental Cooperation, could be intensified to address subregional environmental issues, as well as to build mutual trust and promote cooperation among the countries in the subregion. Enhance technical assistance for capacity building – Given the key role of countries in the subregion in development assistance, their assistance could give focus on capacity building in education, data and statistical systems, governance and institutional framework. Promote cooperation in technological R&D: Varying experiences of technological advance in the subregion can potentially lead the transfer of technologies, responding to the needs in various socio-economic, cultural and geographic contexts. Various initiatives in countries in the subregion in technology facilitation could be further strengthened through enhanced cooperation. Science and technology advancement in East and North East Asian countries: The countries in the subregion have various experiences to share in science, technology and innovation (STI) policies to create enabling environment. The subregion also houses the leaders in environment-related technologies. These technologically advanced countries in the subregion could also boost their cooperation in resources of science and technology and to significantly improve the technological transfer and cooperation in Asia and the Pacific. South-South and Triangular Cooperation: As a key source of financial resources and best practices for various cooperation models in the Asia and the Pacific, countries in the subregion could continue to scale up and efficiently utilize their financial assistance in the implementation of SDGs and in particular, sharing knowledge and technical support in the areas of green and eco-efficient technologies.